Sussex is a popular spot for holidays and short breaks in the UK, being within easy reach of London and with many interesting historic towns to explore, including Hastings, Rye, Eastbourne, Brighton and Lewes. Self catering holiday cottages to rent in Sussex provide a great base to see some of the beautiful historic sights in this lovely part of the country. All of our holiday cottages in Sussex have been inspected - either by ourselves or by the English Tourism Council via their Self Catering Accommodation rating scheme. In order to make your selection easier, our Sussex cottages in size order, with smaller holiday homes for couples appearing higher than larger holiday homes for families or large groups. 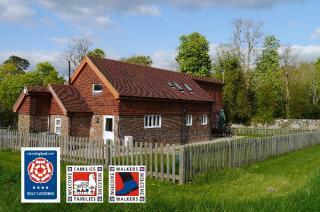 Welcome to our selection of independent self-catering holiday cottages in Sussex. £460 - £800 / week. £530 - £1005 / week. 3 bedrooms | 3 bathrooms | Sleeps 6 people. 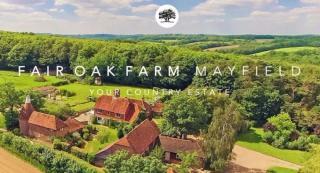 Your country estate, nestled in an area of outstanding natural beauty. 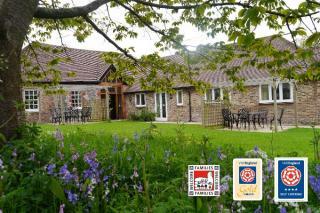 Offering accommodation for large family groups or business groups and teams. £5895 - £7895 / week. 1 bedroom | 10 bathrooms | Sleeps 36 people.